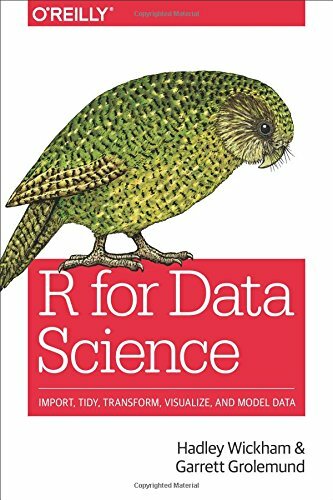 This book will teach you how to do data science with R: You'll learn how to get your data into R, get it into the most useful structure, transform it, visualise it and model it. In this book, you will find a practicum of skills for data science. This book teaches you to use R to effectively visualize and explore complex datasets. Exploratory data analysis is a key part of the data science process because it allows you to sharpen your question and refine your modeling strategies. This practical book shows you how to bundle reusable R functions, sample data, and documentation together by applying author Hadley Wickham's package development philosophy. You'll work with devtools, roxygen, and testthat, a set of R packages. These notes are designed to allow individuals who have a basic grounding in statistical methodology to work through examples that demonstrate the use of R for a range of types of data manipulation, graphical presentation and statistical analysis. A self-contained treatment of statistical topics and the intricacies of the R software. The book focuses on exploratory data analysis, includes chapters on simulation and linear models. It lays the foundation for further study and development using R.